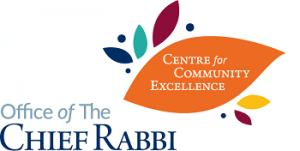 The Borehamwood and Elstree community kicked off ShabbatUK by making delicious challah’s at two seperate Challah Makes, one for adults and one for children. As well as this, BES made around 1500 Shabbat packs, which included their very own version of Dobble – ‘Shobble’! The packs were delivered to members of the community, particularly elderly members and those unable to attend shul. BES continued the ShabbatUK celebrations with a wonderful and uplifting Kabbalat Shabbat service which was followed by an Oneg Shabbat. On Shabbos day the services were followed by talks and hot meaty kiddush. People loved both the concert at the challah bake, but especially loved getting the Shabbat packs through their door, people were so grateful! Members who only have a fleeting attachment to the active aspects of the community or religious life were inspired to participate in ShabbatUk. Some members on the fringes of the community – literally in terms of where they live, were so inspired that they came to shul on shabbat – this was for the first time in 5 years in one case.